Free secure underground parking. City Centre location. 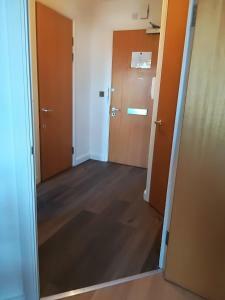 Ensuite shower room to one bedroom and another bathroom in the hallway. Quite spacious. The serviced apartment was in an excellent location - close to city centre but also next to a tranquil river with swans swimming in it - bring some bread to feed the swans along the river; it was amazing. The view from our flat on the 5th or 6th floor was superb. Leicester was a small city that was worth exploring on foot. However, you could also get a bus pass and the bus stop is like within 100m from the serviced apartment. The facilities in the kitchen and bathroom were of good condition. This was important as my family did enjoy having evening snacks or meals, not to mention a good bath to end or start a day. A little disappointment was that the washing machine did not work in our flat. However, the staff was very responsive and managed to let us use another washing machine in another flat everyday. So it did not cause too much trouble to us. It's a washer dryer which made things easier for us too. Very convenient situation for town centre and attractions. Standard apartment complex. Not too fancy, but decent enough for a short stay. Location is a bit out there but still within reasonable walking distance to any particular locations of interest. The staff were helpful, the area was a decent location. Taxi ride from down which cost about £5. We stayed at this apartment twice. On our first visit, we were housed at the Roman Wall building. The two bedroom unit here has a better layout and is more spacious than the one in the Dyers building (we were given a unit at this building during our second visit). The latter is smaller with a a rather odd layout. It was dimly lit and not enough dinnerware pieces were provided. We highlighted the problems to the gentlemen at the reception who helped us fix the lights and provided us with extra dinnerware items. Both gentlemen at the reception were very pleasant and helpful. Overall, we had a pleasant stay at this place! One of our top picks in Leicester.On Westbridge Wharf, Quality City Apartments offer luxury, self-catering accommodations in lively downtown Leicester. 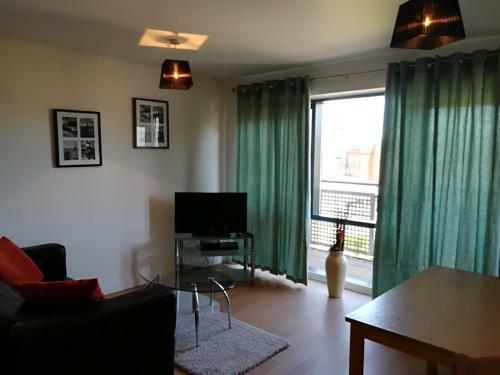 With city views, balconies and Wi-Fi access, the apartments are a 15-minute walk from Leicester Train Station. The modern Quality City “Westbridge Wharf Apartments” feature a lounge area with a flat-screen TV and DVD player. There is also plenty of dining space, a private bathroom and a sleeping area or separate bedroom. A weekly housekeeping service is provided. Each apartment offers stylish decor and luxury furnishings. Contemporary kitchens have an oven, microwave, stove and teakettle. Dishes are provided and secure on-site parking is available. There is also an on-site fitness room for residents to enjoy. Highcross Shopping Centre is just half a mile away and Leicester Racecourse is a 15-minute drive. Leicester Cathedral is 1,650 feet away. When would you like to stay at Quality City Apartments? Open-plan apartment without a separate bedroom. With 2 modern bathrooms, 2 balconies and a large-screen TV. Spacious apartment with balcony access from the living room and bedroom. This twin room features a toaster, oven and DVD player. 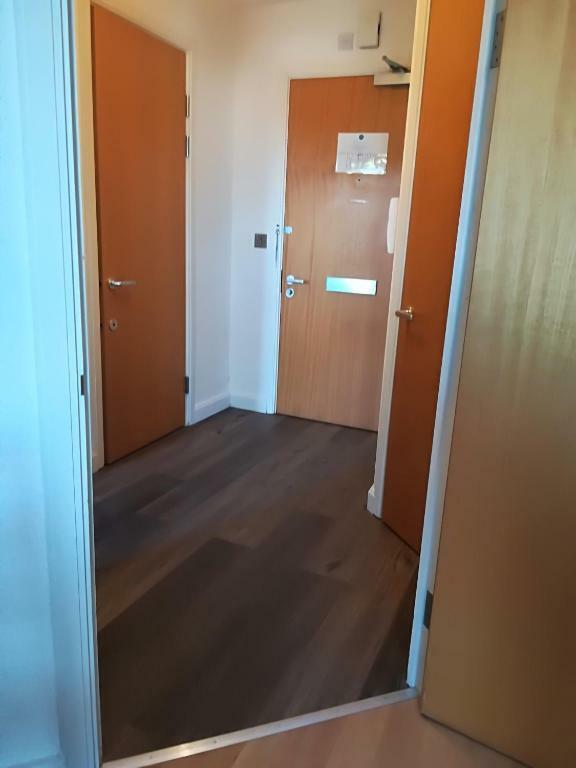 Established in September 2007, we are proud to announce that Quality City is the first and largest serviced apartment company in Leicester, boasting a total of 70 modern apartments at our Westbridge Wharf development. 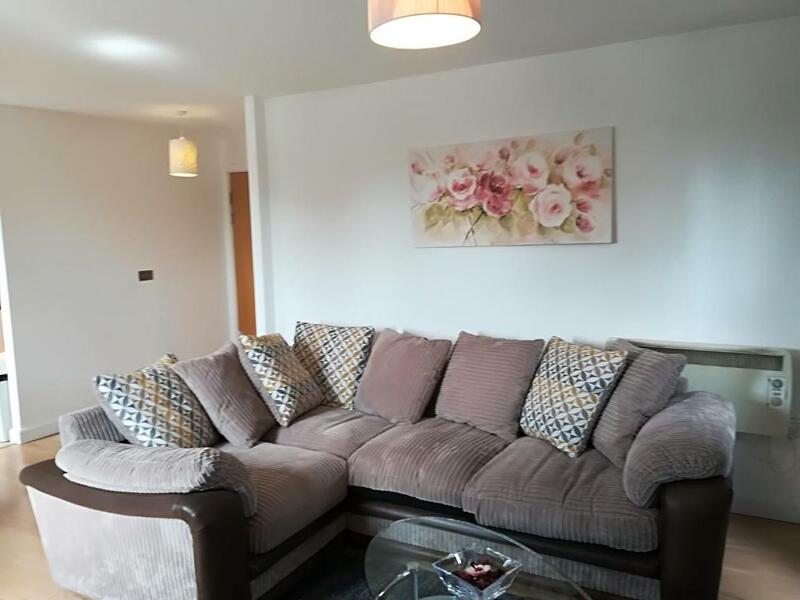 Our apartment mix is there to cater for all, ranging from a small studio for two people to a large 2 bedroom duplex ideal for a large family. Quality City Apartments are located on the west-side of Leicester City center and is conveniently located close to the High-cross shopping center, De Monfort University, 24-hour Tesco Store and Leicester Coach Station. House Rules Quality City Apartments takes special requests – add in the next step! Debit card Quality City Apartments accepts these cards and reserves the right to temporarily hold an amount prior to arrival. Quality City Apartments accepts these cards and reserves the right to temporarily hold an amount prior to arrival. Please note any noise or disturbances reported may lead to a loss of the security deposit. Please note parties are not permitted at this property. Please note that any arrivals outside of the official check-in and check-out hours is subject to availability and prior arrangement. We can provide an early-check in upon request from 12:00 until 15:00 for GBP 15, which will be charged on arrival. Under no circumstances is smoking permitted on these premises including balconies. Failure to comply with this rule may result in the loss of your deposit. The bath water was so cold, I found difficulties to have a shower. The room we initially went into was absolutely shocking, it genuinely was a health and safety risk with numerous items broken, I was going to get a refund and the man in the front desk gave us an upgrade which still was not the best but simply to save time we decided to stay in the room, the floor was coming up, stains on the ceilings/ironing board was broken, the corridor and flat stunk of cigarettes just an all round cheap place and a dump, I do NOT recommend and cannot see this company lasting if it continues to allow the properties to be left in a poor state, I paid nearly £200 for 2 nights. ITS NOT WORTH THE MONEY. The location in terms of the centre was but the location felt a little uncomfortable in terms of being located down a side street with lots of noise at night which made us feel unsafe. Clean and spotless as always. Everything! It is my second stay and I will definitely stay here again. I requested an early check in, the property instaly provided such. Settee more comfy. More cooking utensils. A hair dryer would have been usefull. A comfies mattress on the bed. Building security was week. Maintenance (smoke detectors?). Good value for the price. Good location for my needs. There was a very strong smell of bleach it was clean but very overpowering. TV was quite dated and small and TV point in bedroom didn't work. Quite a large apartment with good furnishings. Easy quick access to car park. We waited so long for the receptionist to answer our call or let us in. Rang him about 25 times. Hot water had problems and the boiler was not programmed right. They were pans in the flat without lids. Washing machine had no manual and the it was not working properly. The sink in the loo was blocked. All in all great location and fairly clean but poor service.